Creation Moments is a nonprofit, 501(c)(3) interdenominational Christian outreach program. Creation Moments exists to glorify God by presenting scientific evidence for the Bible and its literal truths. Creation Moments exists to glorify God by presenting scientific evidence for the literal truth of the Bible. 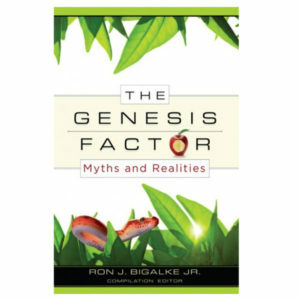 Creation Moments has an inventory of more than 350 different books and videos on creation issues. Our book and video titles are meant for people of all ages and education levels. They examine subjects like evolution, the flood, dinosaurs, creation-confirming scientific discoveries, and an array of other subjects to help build faith and support scientific evidence for the Biblical truths. Creation Moments' international outreach includes lectures abroad and international radio, including the translation of Creation Moments Christian radio programs into other languages for broadcast. "Thanks be to God for the ministry of Creation Moments. May He continue to use this ministry mightily for His Kingdom glory. Every day I look forward to receiving the email and enjoy reading. Thanks for all the work and God bless." "My husband and I teach a Sunday School class for children ages 6-12, so we do look for related activities for the lessons we're teaching. When we see that one of your Scrambled Scriptures is pertinent to our lesson, we either have our kids do it in class or send it home with them."